Project Coordination was appointed Head Contractor to build the new council building in Bungendore when the new shire was created. The building comprises a large main foyer, private council chambers, open plan office space and public and staff amenities. 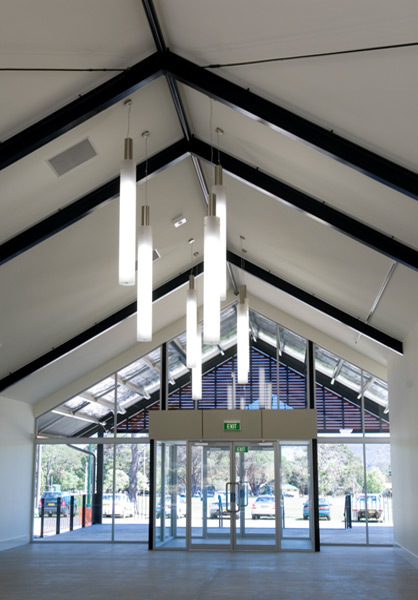 The Council building was designed to complement the surrounding environment and to achieve this natural colours and two native hardwood feature gables were incorporated in to the front entrance design. Particular attention was paid to site orientation in order to achieve the maximum solar passiveness for the building. Several sky lights and sliding external sunscreens were installed to maximise or minimise natural light. Other innovation involved the installation of four underground storm water retention tanks. These tanks house storm water for use in flushing the buildings toilets and irrigating the surrounding landscaping. 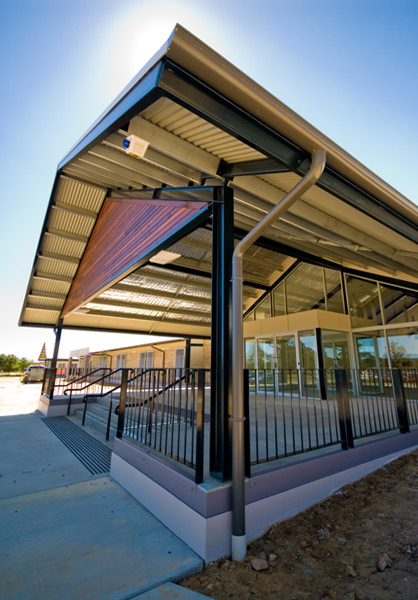 Winner of the 2007 Master Builder Association Award for Commercial Buildings up to $3 million.